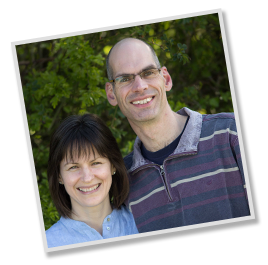 Learn a little more about our leaders at Mickfield Evangelical Church. I’m Mark, and I’m the pastor of this great church! I’m married to Rachael and we have two grownup children and a grandson. 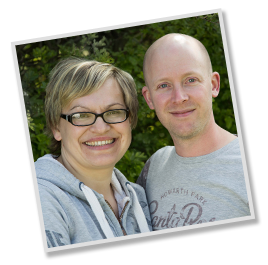 We’ve been involved in the church all our married lives and are amazed at God’s kindness to us over the years. I’m also a farmer so I split my time between growing crops and growing saints, the saints take more time and attention but are also more rewarding! When I have some spare time I enjoy tinkering with old cars, l also enjoy walking our two Jack Russells, and holidaying in France. 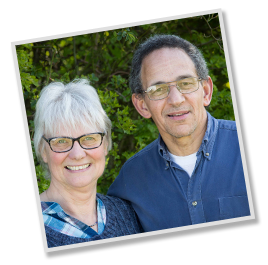 I am David & this is my wife Ruth. 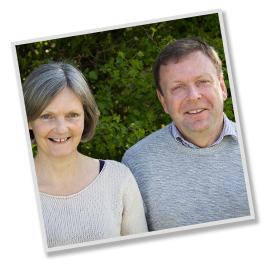 We have lived in Crowfield Village since 1987 and have been part of the Evangelical church here in Mickfield since 1997. We have three children and four Grand children and we love them all dearly. We also love our church family dearly and it is a real privilege for me to serve as an elder of the church and to play bass guitar and occasionally brass in the music group. I have been a Christian since 1978 and with each day that passes I can see and know God’s guiding hand at work in both the joys and sorrows of life. It is so re-assuring to know He has a big plan for all of us. Since I retired from British telecom in 2014 I have started a small electrical business which puts my previously acquired skills to good use. I also am a bit of a petrol head and quite like tinkering with vehicles that include an internal combustion engine. When I am not doing either of those, the likelihood is that I will be enjoying time at home or with the church family. Hello, my name is Kevin. 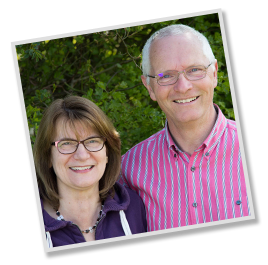 My wife, Audrey, and I moved near to Mickfield 12 years ago after spending 32 years at my previous church in Martlesham. I became a Christian when I was 16 and it has been so good to witness God’s goodness and faithfulness over many years and now to be worshipping and having fellowship with my Christian family here at Mickfield. I serve in the church as an Elder and help out leading the praise and worship. Audrey and I have three grown up daughters and 3 grandsons. When I’m not at church I’m either working for the NHS, relaxing (taming the garden) or finishing off the extension! However I do find time for some other things. I have been at this church for the last 15 years and it has been such a great blessing in my life and for my family. I actually first put my trust in Jesus at a children’s holiday club at this church back when I was 6 years old, so I’m glad God has led me back here from the age of 21 to serve and fellowship at the church as an adult. Some of my responsibilities here include the role of an elder, leading the praise and worship music, and writing various articles for outreach. My hobbies include playing guitar, films, music, and spending time with my family and friends. My name is Michael Lawrence, and I’m married to Suzanne. I was born in Burnley, Lancashire. I’ve lived in Great Blakenham since January 2014. We have 4 children: Natalie (12), Tim (10), Aimee (8) and Benjamin (4). I was brought up in a Christian home with two brothers and two sisters. I knew all about Jesus from going to church and children’s clubs. At the age of 7 I asked Jesus to be my Saviour. I have been involved with WEC Camps since the age of 18, which are Christian Camps for 9-17 year olds with an emphasis on World Mission. These have been some of the best holidays I have had, making lots of friends and eventually serving with WEC International, in the Youth Office, full time for 10 years before moving to Suffolk. My hobbies include following Burnley FC, Playing games, Chess and watching sports.